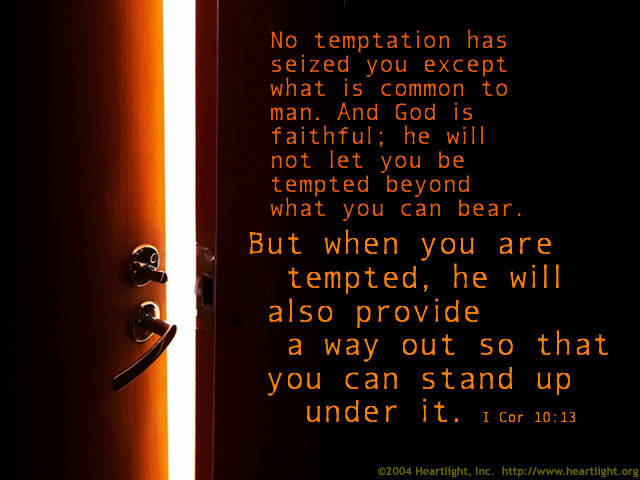 Being tempted does not mean that you have sinned, nor does it mean that you will. 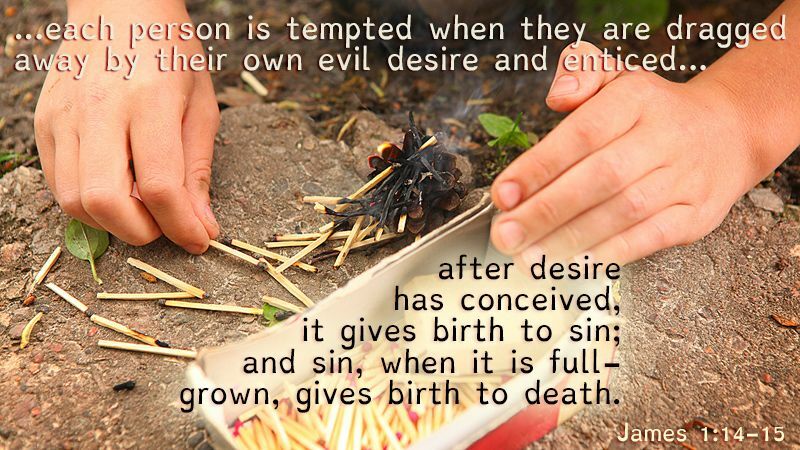 Jesus' temptations Luke 4:1-14) are proof that one is not sinning when he/she is being tempted. It is important, however, to have strategies for dealing with all the temptations we will face in our lives. There are practical ways to deal with temptations that will leave each of us feeling better about ourselves without having to deal with the aftermath of guilt. We must stay away from people and situations that will cause us to compromise our convictions. Will Rogers was right when he said, "The road to success is dotted with many tempting parking spaces." Keeping ourselves out of parking spaces that will affect our vulnerability is crucial for our success in saying no to whatever is tempting us. During Jesus' closing words in the Lord's Prayer, the Lord taught us to pray, "And don't let us yield to temptation, but rescue us from the evil one" (Matthew 6:13 NLT). A prayerful lifestyle will help divert our sinful desires away from doing wrong. Our prayers help us keep our spiritual convictions and commitments in focus. On the other hand, Oscar Wilde said, "The only way to get rid of temptation is to yield to it... I can resist everything but temptation." A person with such an attitude will never experience the triumph to overcome and resist those things in our lives that can ultimately destroy relationships, jobs, friendships, or integrity. Prayer is one the best method to keep from yielding to temptation because it keeps our focus on God's priorities and asks for God's help for our situations. Submit yourselves, then to God. Resist the devil, and he will flee from you. Come near to God and he will come near to you... (James 4:7-8). The moment we let our guard down, is the very moment we become vulnerable and more likely we give in to the temptation. 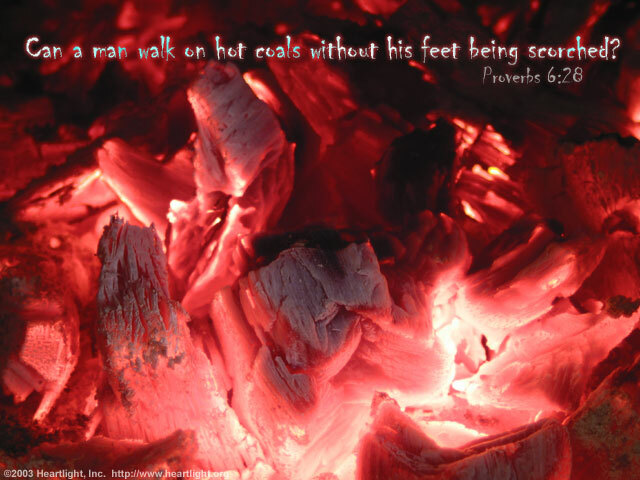 Temptation is serious and we must choose to draw near to God for help. While it is extremely important to read and know Scripture, to pray for God's help, and to resist temptation's pull, we need human help. We all need someone who we will let hold us accountable. Someone who will be "straight up" and honest with us and our life as Jesus' disciple. We need to know this person has our best interest at heart. And, we need to invite them to help us with our temptations. At the same time, we must stay focused on God's will and stay away from those things that will harm us! We must never keep God out of any part of life! We need to keep Jesus on the center stage of our hearts. We must allow the Holy Spirit to do the convincing that God's way is the right way and help us stay far away from what could tempt us to do wrong. "Temptation" by Brian McCutchen is licensed under a Creative Commons License. Heartlight encourages you to share this material with others in church bulletins, personal emails, and other non-commercial uses. Please see our Usage Guidelines for more information.